Summer concerts are a fun way to enjoy the summer season, and when they are also free, they are even more fun. 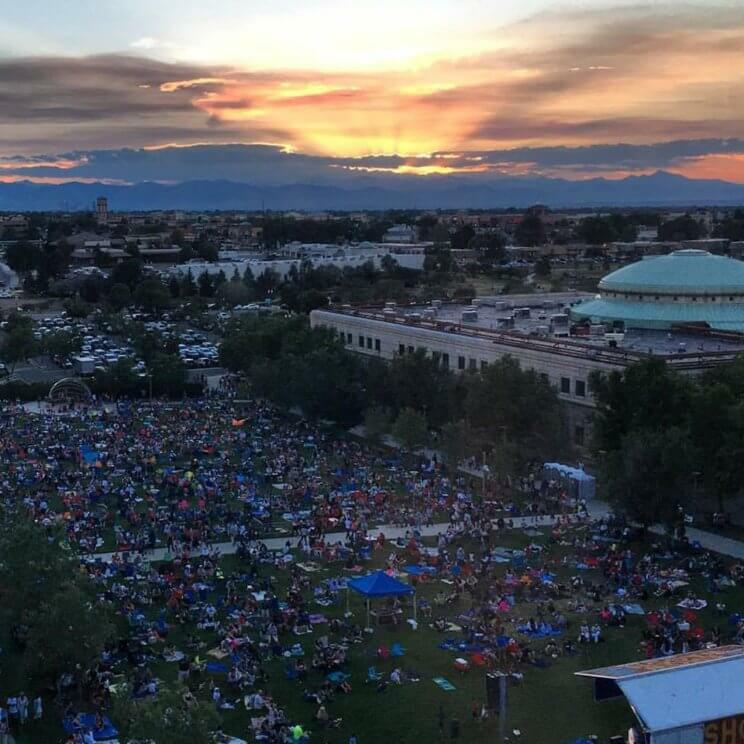 We’ve already featured a guide for Free Outdoor Movies to enjoy, and now we are featuring a Free Summer Concerts in Denver 2018 guide so you know where to enjoy free music in and around Denver this summer including their lineups! Coohills continues its commitment to sharing live local music and giving back to the community when the popular Beats on the Creek summer concert series. In addition, silent auctions and a portion of the proceeds from each evening’s food and beverage sales go to Conservation Colorado, a nonprofit dedicated to protecting Colorado’s environment and quality of life. Each concert evening – all of which run Tuesdays from 6:30pm – 9pm through Aug. 7th, offers several ways to enjoy the music, as well as sunset with the majestic Rocky Mountains visible in the background, a view of the bands playing at the southwest end of the bridge, and innovative drinks and food. Coohills is located at 1400 Wewatta St, Denver, CO 80202. 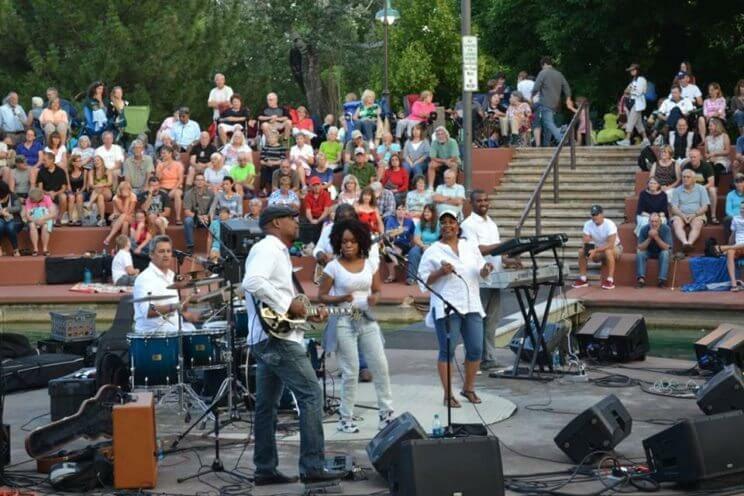 City Park Jazz produces 10 free jazz, blues and salsa concerts on Sundays this summer at City Park in Denver. The summer concert series also features food trucks and family-friendly entertainment and takes place from 6pm – 8pm. Each year City Park Jazz draws thousands of people of all ages to enjoy their Sunday evening during the summer season! City Park is located at 1700 York St, Denver, CO 80206. 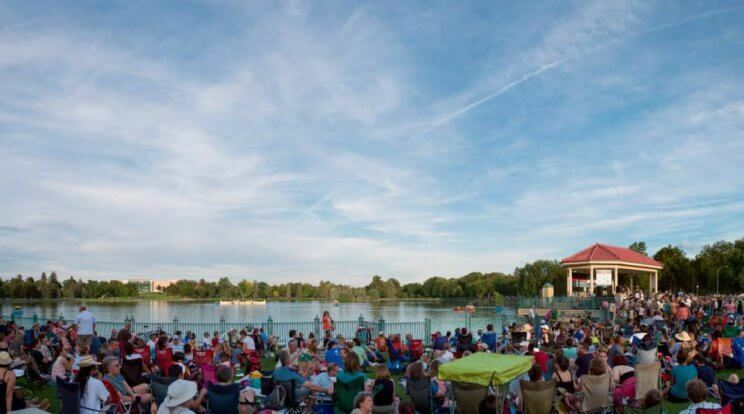 City Park Jazz Lineup: June 24th: Paa Kow; July 1st: Euforquestra; July 8th: La Pompe Jazz & Friends; July 15th: Pat Bianchi Trio; July 22nd: Mistura Fina Band; July 29th: The Sammy Mayfield Blues Band; August 5th: Chris Daniels and the Kings with Freddi Gowdy. 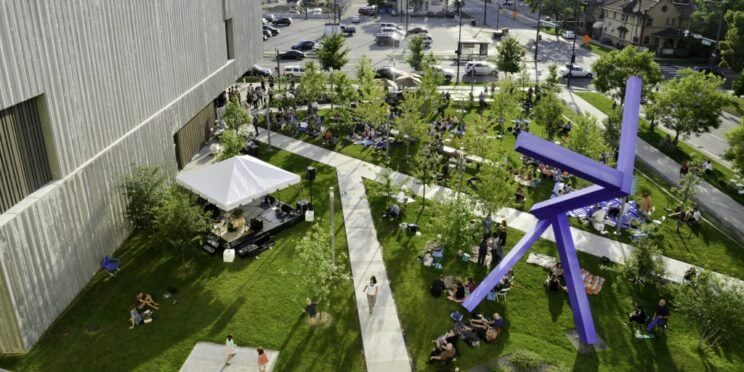 Clyfford Still Museum and Swallow Hill Music are pleased to present three free summer lawn concerts in the Museum’s forecourt. Bring a picnic and join them to celebrate summer in the city. Delicious ice cream sandwiches from Peteybird, local microbrews from Baere Brewing Co. The Lawn Concerts will take place from 5pm – 8pm. Clyfford Still Museum is located at 1250 Bannock St, Denver, CO 80204. Lawn Concerts Lineup: June 29th: Chimney Choir; July 27th: Red Baraat; August 17th: Dustbowl Revival; September 7th: Kyle Emerson. Stapleton MCA are hosting two free outdoor concert series this summer! 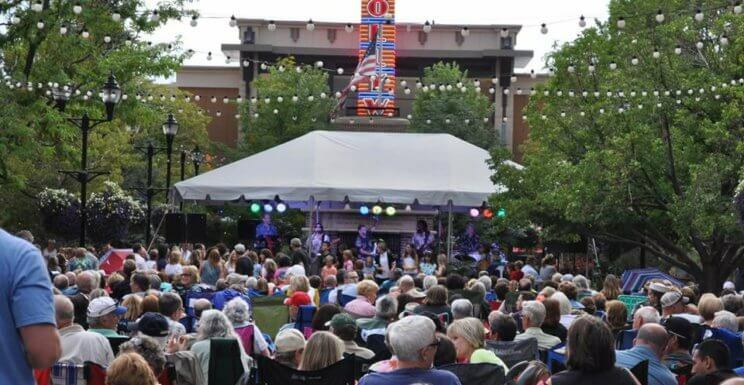 The Concert on The Green Summer Concert Series, that will take place on selected Saturdays from 6pm – 8pm, and they are also co-hosting the with Jazz@Jack’s the MoJaBlu Concert Series, featuring Motown, Jazz and Blues concerts from 6:30pm – 8:30pm, on Thursday evenings. Conservatory Green At Stapleton is located at Valentia St & E 49th Pl, Denver, CO 80238. Concert on The Green Lineup: June 23rd: That Eighties Band; July 7th: Funkiphino; July 28th: PG6IX Band; August 18th: Hazel Miller Band. MoJaBlu Concert Series Lineup: June 28th: The Mary Louise Lee Band; July 5th: The Hot Lunch Band; July 12th: The Erica Brown Band; July 19th: Dotsero; July 26th: Thumpin’ Band; August 2nd: Ron Ivory Motown Review. August 16th & September 1st: Denver Municipal Jazz Band. The Streets at SouthGlenn will host its annual Summer Concert Series this June, July and August. The concerts, which feature well known local and regional bands, and are held in Commons Park from 6:30pm – 8pm. The Streets at SouthGlenn is located at 6991 S Vine St, Centennial, CO 80122. Summer Concert Series Lineup: June 27th: The Rumour; July 11th: Premium Diesel; July 25th: That Eighties Band; August 8th: Tunisia; August 22nd: The Long Run, Colorado’s Tribute the The Eagles. Evergreen Park & Recreation District is presenting its 20th season of its Summer Concert Series at Evergreen Lake House. The 2018 EPRD Summer Concert Series takes place every other Wednesday through August 22, from 5pm – 9pm. The concerts are a picnic style event, you may bring a blanket, lawn chairs, and any food and 3.2 beer or wine. Evergreen Lake House is located at 29612 Upper Bear Creek Rd, Evergreen, CO 80439. *Please park at Christ the King Church or Wulf Rec Centers. There is no parking at the lake. Music on the Plaza at Belmar takes place this summer on Friday evenings from 6pm – 8pm. Concerts run from June through late August and feature outdoor, live performances from local Denver bands featuring a variety of music. Belmar is located at 464 S Teller St, Lakewood, CO 80226. Psst… An additional live performance by Donavon Lee Music will take place on July 7th! The Green Valley Ranch Concert Series features free music concerts this summer evenings, from 6pm to 8pm, this summer. The July 4th concert will take place at GOV Golf Club, and the rest of the concerts in the series are located at the GRC Recreation Center/Town Center Park. Green Valley Ranch Amphitheatre is located at 4900 Himalaya Rd, Denver, CO 80249; GRC Recreation Center/Town Center Park is located at 4890 Argonne Way, Denver, CO 80249. 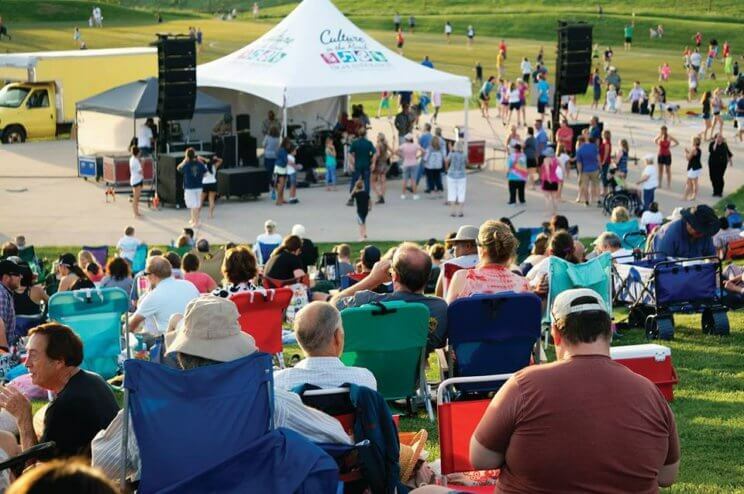 Green Valley Ranch Concert Series Lineup: July 14th: The Wash Park Band, The New Sensations, and Fireworks; July 11th: The Mary Louise Lee Band ; July 18th: Ryan Chrys & the Rough Cuts; July 25th: The Denver Municipal Band; August 8th: Dearling; August 15th: Phat Daddy; August 22nd: The Linda Styles Band; August 29th: The Jukebox Boys. 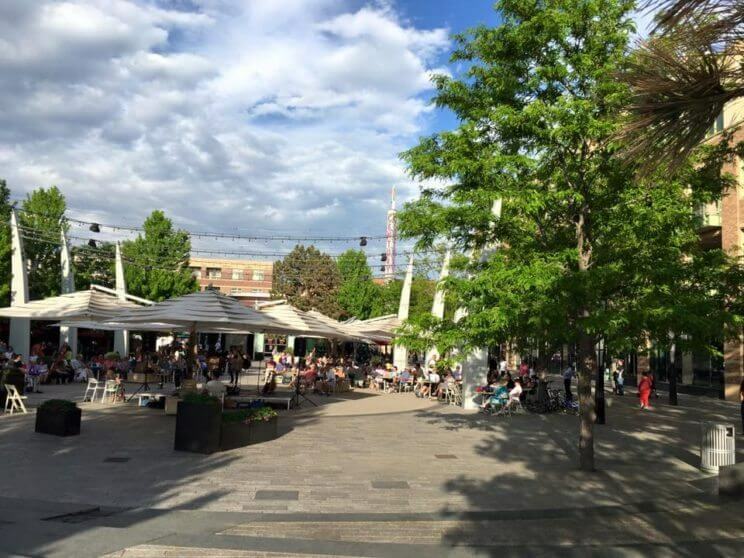 Wednesdays on the Waterfront is a free summer concert series presented by City & County of Broomfield. Shows at are 7pm (Kick-Off first concert at 4pm) at the Broomfield Amphitheater in Community Park (behind the library and auditorium). 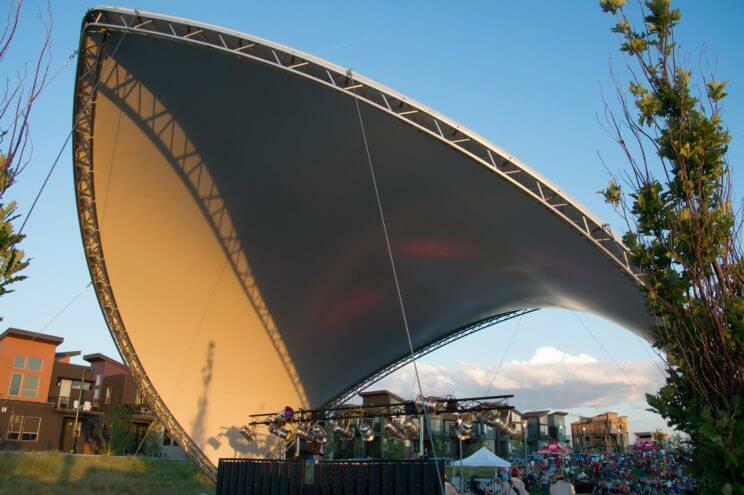 Broomfield Amphitheater is located at 3 Community Park Rd, Broomfield, CO 80020. Wednesdays on the Waterfront Lineup: June 27h: Jockamo; July 11th: Thumpin’; July 18th: The Pamlico Sound; July 25th: ARKFOO; August 1st: Blue Steel, USAF Academy Band. Parker Arts is hosting the Discovery Park Summer Concert Series, with free concerts during the months of June, July & August, in Parker’s brand new amphitheater. This state-of-the-art venue features an open-space design and a number of exciting amenities, such as monumental art pieces and an interactive water fountain for the kids. Feel free to bring your picnic baskets, your lawn chairs and your beach blankets, enjoy the open green space, and listen to some good music. Discovery Park is located at 20115 E Mainstreet, Parker, CO 80138. June 21st: The Radio; June 28th: Soul School; July 5th: HomeSlice; July 12th: Soul X; July 19th: Wash Park; July 26th: That Eighties Band; August 2nd: Tunisia. The Aurora Rhymes: Concert on the Lawn Series, presented by City of Aurora, takes place during the summer months from 6:30pm – 8pm. 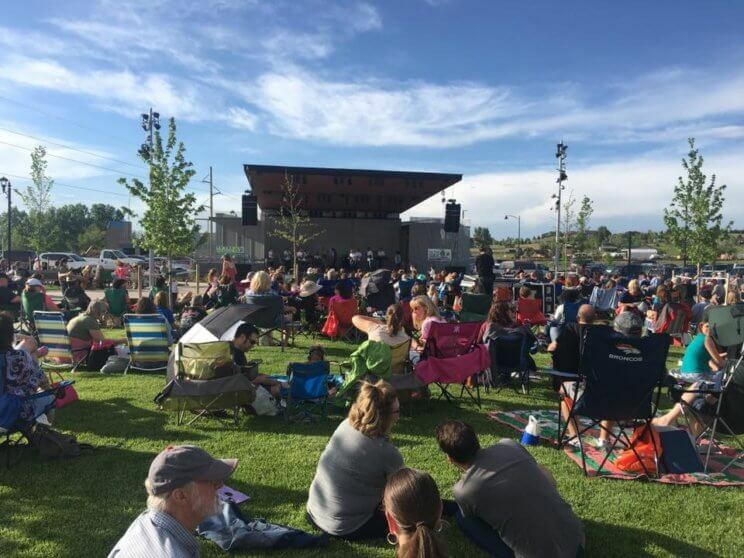 The Aurora Summer Concerts are held at the Aurora Municipal Center and each concert features one musician or band, a food vendor and an event sponsor. Aurora Municipal Center is located at 15051 E Alameda Pkwy, Aurora, CO 80012. 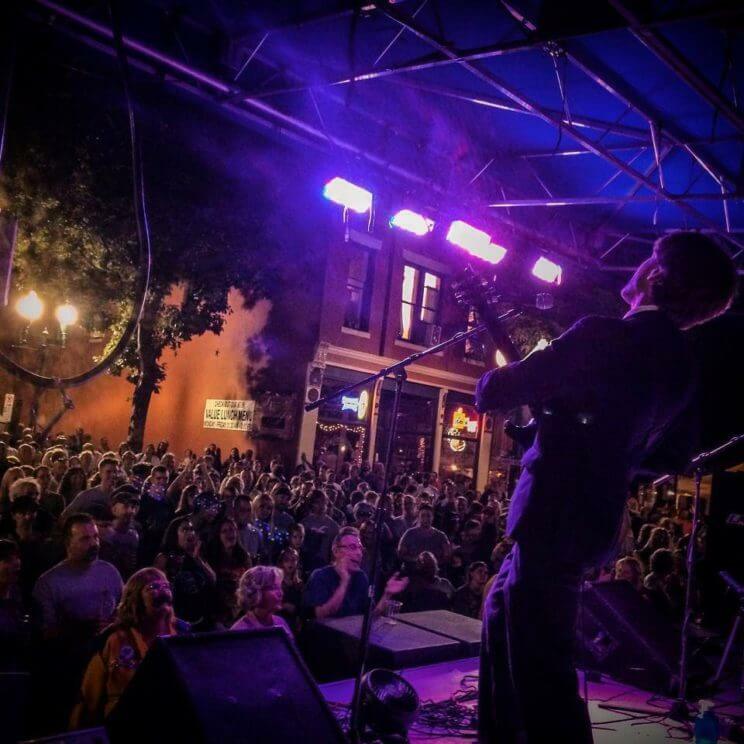 Historic Olde Town Arvada will showcase free live music on the second Saturday of the month at their Olde Town Summer Sounds on Second Saturdays from 3pm – 8pm. In addition to live music, they will feature arts & crafts booths, food booths, kids activities as well as beer and wine sales. Admission is free and Grandview Ave will be closed to auto traffic, ensuring a fun and safe atmosphere for all. Historic Olde Town Arvada is located at Vance St & Grandview Ave, Arvada, CO 80002. Second Saturdays Lineup: July 14th: The Trampolines, Ugly Rumor & Relic; August 11th: Boot Gun. 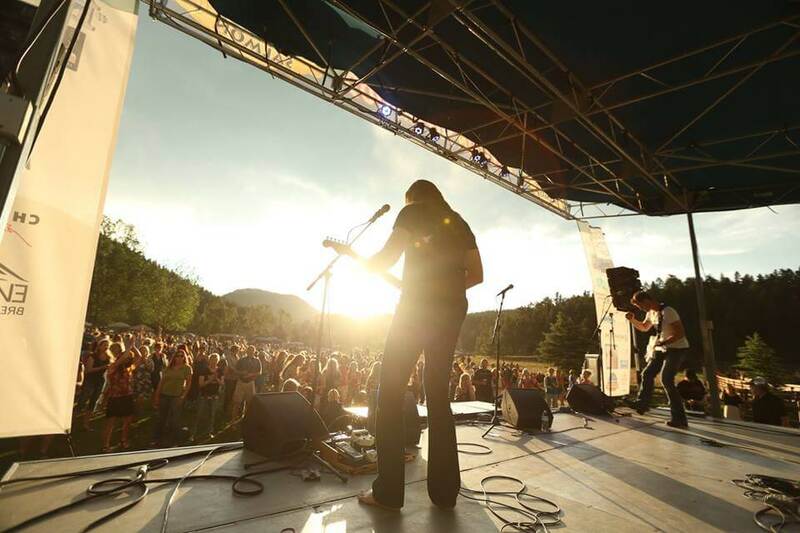 The Highlands Ranch Community Association, is hosting free outdoor concerts this summer! This Concert Series will take place at Highland Heritage Park during the months of June and July and is sponsored by Littleton Adventist Hospital. Highland Heritage Park is located at 9651 S Quebec St, Highlands Ranch, CO 80130. 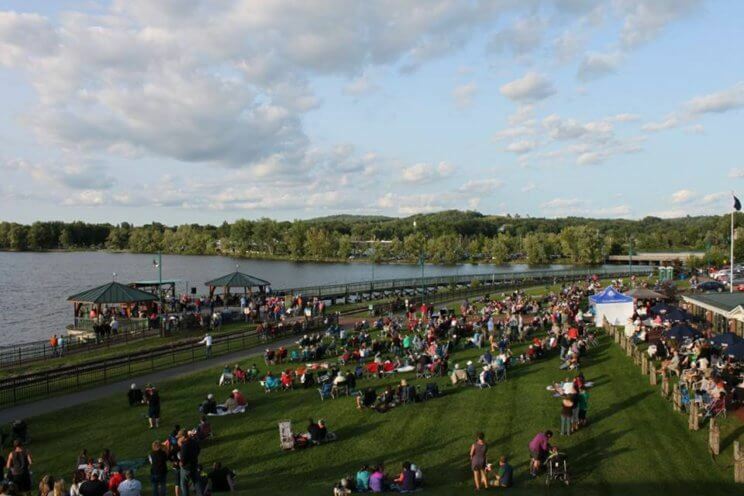 Summer Concert Series Lineup: June 21st: Flipside; June 28th: 6 Million Dollar Band; July 5th: Soul School; July 12th: Under a Blood Red Sky; July 19th: Groove N’ Motion; July 26th: Fab4.